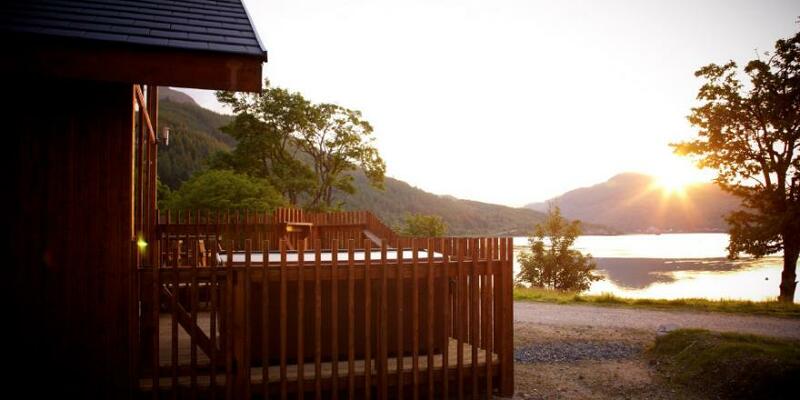 Completely renovated in August 2018, and situated in the hills above the Holy Loch, our privately owned lodge is on the edge of the holiday park, a twenty minute ferry ride from Gourock. On arrival you will find yourself in an idyllic setting, surrounded by stunning views. It is a traditional build wooden lodge, accessible via two small steps onto the deck straight from the two car parking area. The covered deck to the front has a seating area and a fabulous view out over the Loch. 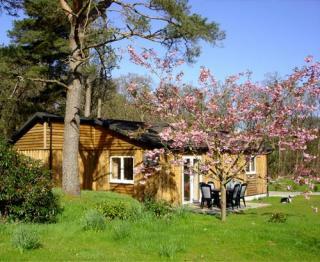 The lodge is one of a small group located in a beautiful woodland setting . It is tranquil with stunning views and it is not unusual to find yourself face to face with one or more of the local deer or the odd squirrel. There are many walks around the surrounding area, with the Argyll Forest Park, Pucks Glen and Benmore Gardens within minutes, and of course the amenities of Dunoon are a short drive or bus ride away with restaurants, cafes, shopping etc The welcoming interior consists of a centrally heated spacious open plan lounge, dining area and kitchen. All rooms are furnished to a very high standard. The kitchen has brand new modern units, a full size fridge freezer, modern oven and hob, kettle, microwave and coffee machine. As this is our holiday home too, we have added quality and touches you might not normally find in a rental. Bedroom 1 has a comfortable king size bed, wardrobe and chest of drawers. Bedroom 2 has a comfortable double bed, wardrobe, dresser etc All of our towels, bed linen are luxury hotel quality. The modern well appointed bathroom has a walk-in shower, with wc and vanity with shampoo, conditioner and body wash. Free WiFi. The lodge has multiple inbuilt USB charging points, smoke detector, fire extinguisher and first aid kit. Scotland, in all its wild and natural glory, is here in Argyll. Driving past tranquil lochs and majestic mountains, you’ll begin to understand why this breathtaking landscape has inspired writers and painters for centuries. Our Argyll site is situated at Ardgartan where the pine-clad mountains sweep down to meet the shore of Loch Long at the edge of the Argyll Forest Park. A more perfect spot is hard to imagine. In May 2013 we opened a new and improved site with more cabins to choose from to meet the high demand for this popular location. 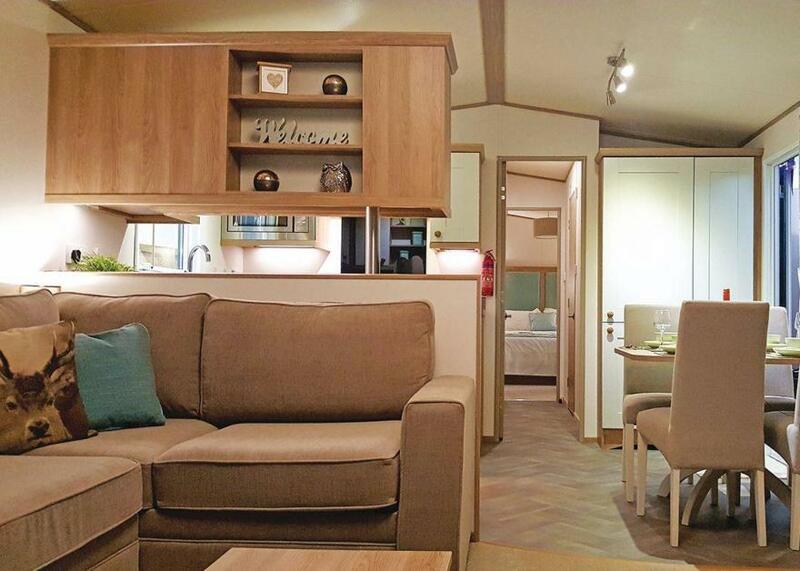 Spacious and modern lodge with one double with ensuite shower and one twin. Shower. Dishwasher and fridge/freezer. 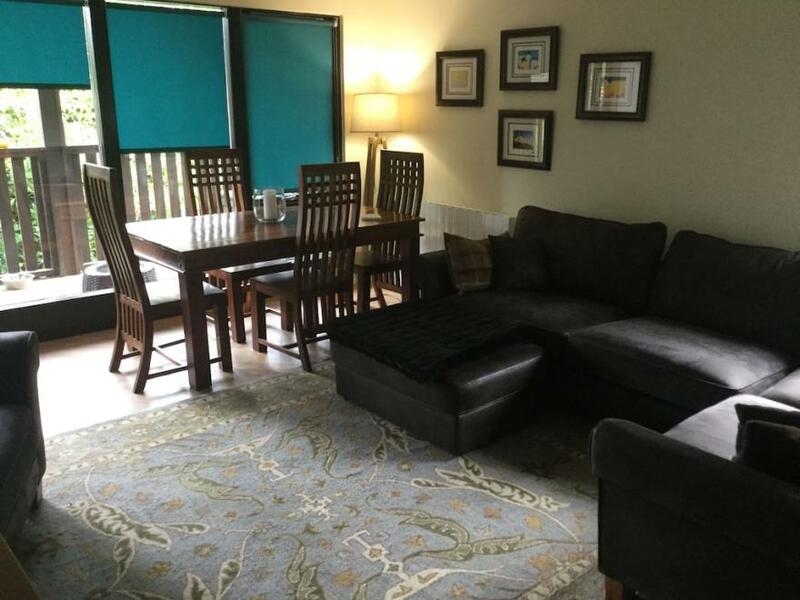 Comfortable lounge/dining area. DVD. Decking with garden furniture. 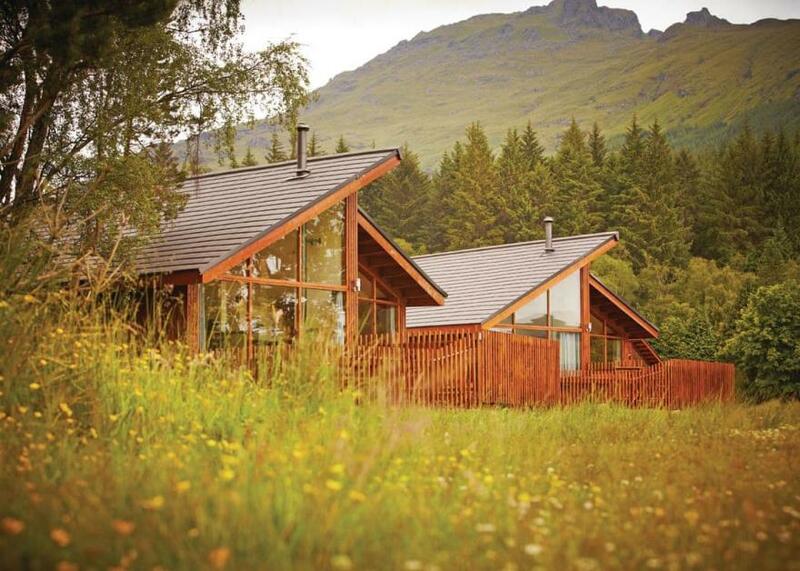 Beautifully landscaped area overlooking the loch.. Loch Lomond Holiday Park is part of our Wanderwood Lodge Holidays Collection. Set on the banks of Loch Lomond this impressively located park has been recently re-landscaped to a first class standard.